Sometimes the best part of a bookcase isn't what's on the shelves but what's behind it. These large structures create the perfect veil for a secret door to an undisclosed room. An architect can help you work with the space you have and figure out the details, like which direction a door should swing. A safe is an excellent option for storing and protecting assets like jewelry, passports and cash. But if leaving it in plain sight feels too vulnerable, try concealing it entirely. A wall cutout behind a picture frame, cabinet or mirror makes for an ideal hideaway. Want an inconspicuous escape route? Consider installing an underground passage with a secret switch to activate it. For example, chess pieces moved into a specific position or a particular book pulled from a shelf can reveal the opening. You can also choose from biometric authentication such as a fingerprint or eye scanner. 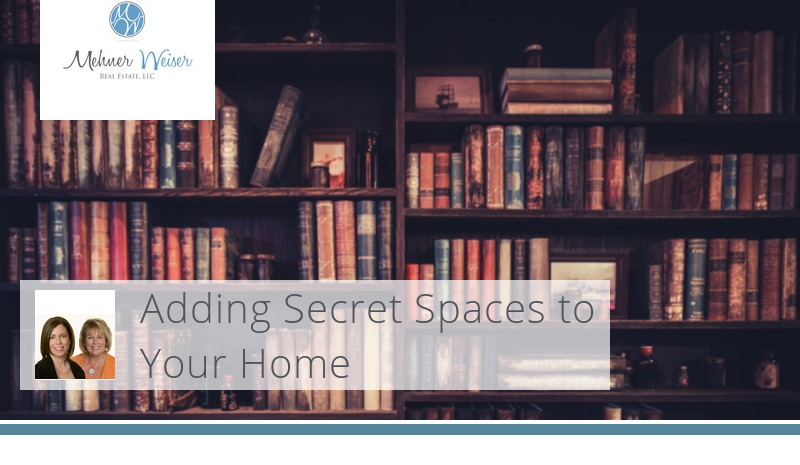 You don't have to be a superhero or a secret service agent to enjoy hidden spaces in your home. No matter what you have to hide, a secret room or passage can keep it concealed.